Want lots of unique girl dog names for your new little Cocker puppy? You're in luck! Discover hundreds of cute names for little girl puppies here. Kick off your shoes and relax while you browse through our database of puppy names for female dogs - this is where the fun begins! But before you make any decisions there are a few tips about choosing puppy names that I'd like to share with you, however, if you'd prefer to go straight to the names, just click here. What about matching it to her personality? For example, if she's 'mad as a hatter', what about calling her Luna, Maddie or Hattie? Choose a name that all the family can agree on. If you can't agree on a particular name, why not put your short-list of names onto separate bits of paper, drop them into a hat and have someone pick one out of the hat? Does your pup have any unusual traits? If she does, perhaps these characteristics could help you to choose a suitable name? 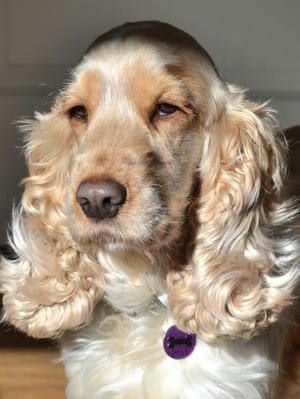 The color and texture of your Cocker Spaniel's coat may help to give you inspiration, for example if her coat is coffee colored, why not call her Cocoa, Chocolate, or Cappuccino? Or, if her coat is soft and silky, why not name her Cashmere, Satin, or Silky? You could name your dog after her size; Shrimp, Tinkerbell, or even Pudding if she's a little plump! Alternatively, you may decide that she's simply too cool to have just any old name and prefer to choose from a selection of cool dog names for cool dudes! 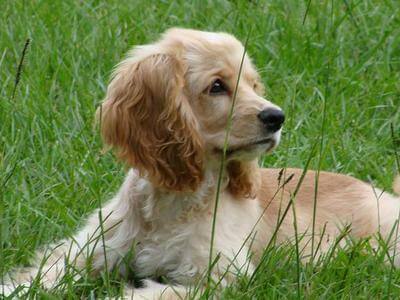 Whatever you decide, you'll find plenty of Cocker Spaniel puppy names for you to choose from in our database. Our A - Z of Best Girl Dog Names! If you'd like to see a wider selection of names for female dogs simply click on this link. Enjoy!